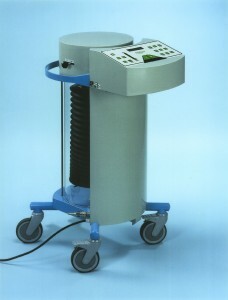 Respiratory equipment for the veterinary market. The Smith respirator LA-2100+, the most modern and reliable respiratory device for large animals on the world market, for many years. New respirators which provide support for anesthesia of horses, camels and other large animals. Europe-wide service, incidentally or on a contract basis to customers who have purchased anesthesia equipment. A professional and customer-friendly approach when it comes to advice and support. Height: 105 cm. Width: 50 cm. Depth: 65 cm. Using the respirator requires an air pressure of 5-8 bar. Volume range 2 to 16 liters. Respirationfrequency setting 2 – 30 respirations per minute.